There’s a lot to be desired when it comes to accessible housing. According to The Atlantic, only 40% of homes are accessible, meaning it can be a tiring experience for wheelchair users to find somewhere appropriate. The good news is that this trend is set to reverse and make heating the home an easier prospect than ever before. Through the past few years, technology has aided independent living for wheelchair users, and to boot, the Justice department awarded $11.3m in damages against a housing provider found to have shirked the accessible building rules. Finding independence in the home is getting easier. One key reason for that, is the ease with which the home can now be heated. One of the greatest obstacles to feeling truly independent with the climate in your own home, is the accessibility of technology. Old fashioned boilers/furnaces are often inaccessible and arcane in their design, and the thermostats that go with them are inaccessible and non-intuitive. Modern technology has comprehensively solved this challenge. Today, smart meters can be integrated with home heating systems and then linked up with completely remote controls. This means that heating or AC can be activated from a device or smartphone. Even more encouraging, is the interest being shown in this industry. One notable maker of remote controls has recently received $102m of funding from Amazon, according to TechCrunch. Consumers can expect more intuitive and user-designed controls to be released, with programmable technology that allows mobileWOMEN to get exactly what they need from the technology. Perhaps you have heard of one of the more popular available technologies, called the Nest. 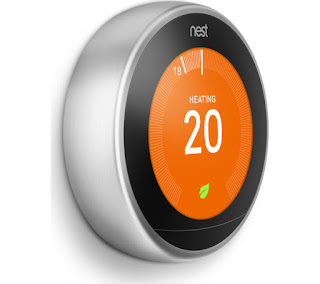 There is now the 3rd generation Nest Learning Thermostat. To start, it is compatible with Alexa devices and Google Home so can be voice activated but there are many other remarkable features. This thermostat learns your temperature patterns after a few days and will automatically adjust the room temperature for you, at different times of the day, saving energy and money. It can be controlled from anywhere, on your smart device and allows you to see how much energy that you use including where you can save. Some of the easiest ways to stop heat transfer around the house are the best and work for those in wheelchairs, despite accessibility requirements. UK-based energy watchdog Energy Saving Trust noted that draft exclusion saves $25 a year and does a lot for feeling warm (or cold) – drafts have a habit of making you feel particularly affected by the intruding weather. A draft exclusion is a fabric tubular shape, filled with sand and placed along the bottom of doors or windows, to stop drafts. Often these become a barrier to open and close the door which is frustrating and unsafe. There are, however, draft stops that slide on the bottom of your door (or window), enabling the door to still function. 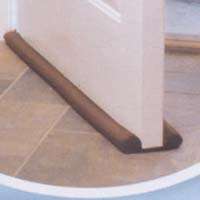 Another alternative is to install new sweeps across the door threshold which can make a significant difference in preventing drafts. Other weather proofing options include hanging insulated curtains, adding weather stripping or sticky foam tape or re-caulking to create a tight seal around windows and doors. Ever cranked up the heating or AC only to find yourself too much to the other extreme? Too many people aren’t aware of their actual perfect temperature and this can affect your preparations for heating the house. 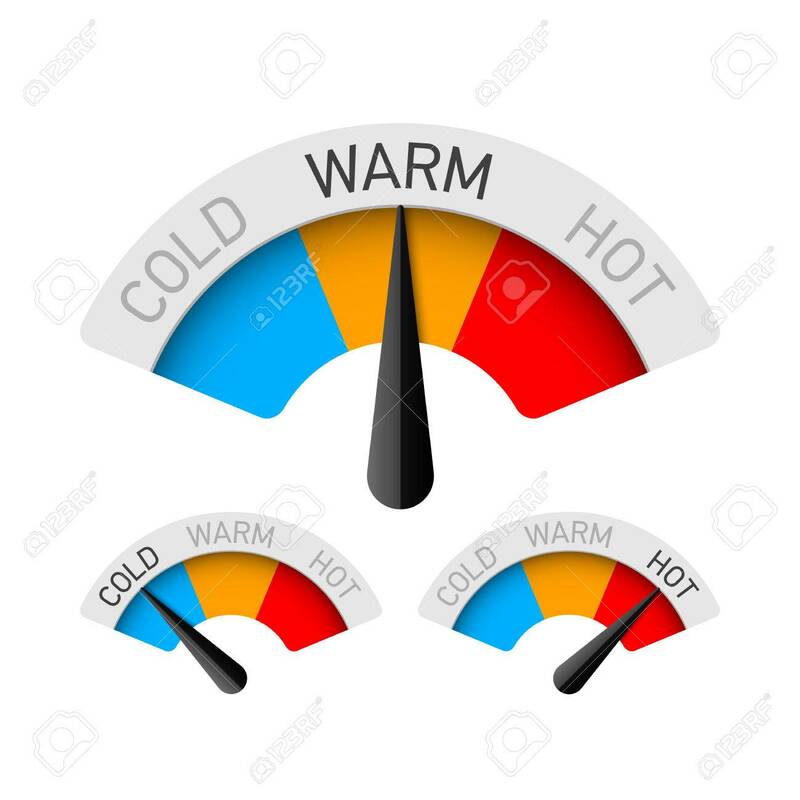 Certain conditions such as spinal cord injuries, can even cause your body to regulate heat poorly, which will naturally affect your standard level. A good way to find out is to get yourself in comfortable clothing - whether that’s a sweater for winter or shorts and a tee – and get comfortable. Then, check the temperature. Write it down, and that’s what you should be checking the thermostat for when you come in from the outdoors It might seem straightforward, but finding your own happy medium is the quickest and easiest tip out there for heating your home. A “temperature comfortable” can be challenging for anyone but especially those with mobility issues. Outdated housing stock means houses with cold or hot gusts that are hard to control but don’t sit back and “deal” with it! Using smart technology and tried-and-tested methods, take control of the heating situation in your own home!